Tonight we dive into the history and hysterics of Chunky Custard, one of Australia’s most loved and longest running party bands. Ian and Becky Blake let us into their world for an intimate and frank portrait of what life is like for an entertainment couple who also have a family to raise. Plus we get to see what makes the Piano Chick tick. For the Made To Move Minute, Max Martin gives Ian, Becky and us, tips on how to maintain healthy sleep when working unhealthy hours. Wine tonight is a Pinot Noir from Turon Wines in the Adelaide Hills. In IS IT NEWS, Nigel quizzes us on our knowledge of custard in South Australian history. The Adelaide Visa Council features another major media outlet in the dock. 2013 Turon Wines Pinot Noir Adelaide Hills. Tasting notes. This week: Sleep when working late. Our culture worships dynamic duos, from Batman and Robin to Hans Solo and Chewbacca, and from Simon and Garfunkel to Lennon and McCartney, but tonight we spend an evening with one of South Australia’s own dynamic duos, Ian and Becky Blake, as we go behind the scenes of our country’s greatest party band, Chunky Custard, and we try to get a glimpse of what life is really like behind those costumes. And our song this week, Ode To The Piano Chick by Becky Blake, supplied by Becky Blake herself because she was our guest this week. Next week we’ll return to music selected and endorsed by our musical curator Adrian Miller, from Radio Adelaide’s Monday night program, Songcatcher. Double bonus: 1. Happy Birthday to the monkey. 2. Becky’s improvised song from our preview video. 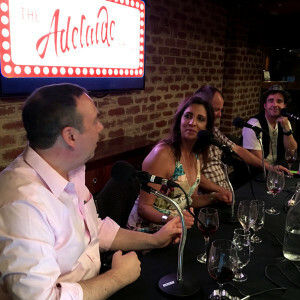 Come along to our second Adelaide Fringe live recording on Tuesday night, February 23, 2016, from 7-9pm at The Arkaba Hotel, for an intimate and fun evening of conversation with Adelaide’s husband and wife party team, Becky and Ian Blake from Chunky Custard. Ian Blake is co-founder of arguably Australia’s favourite party band, Chunky Custard. It all began as a bit of fun at fancy dress party 25 years ago, and now Chunky Custard has become a legend. How can a band survive 25 years, let alone with half of that time including a husband and wife duo in Ian and Becky? We’ll find out all the stories and all the tricks on the night. We’ll also probe their secret to staying young, reinvention and how much discipline goes into to creating fun. 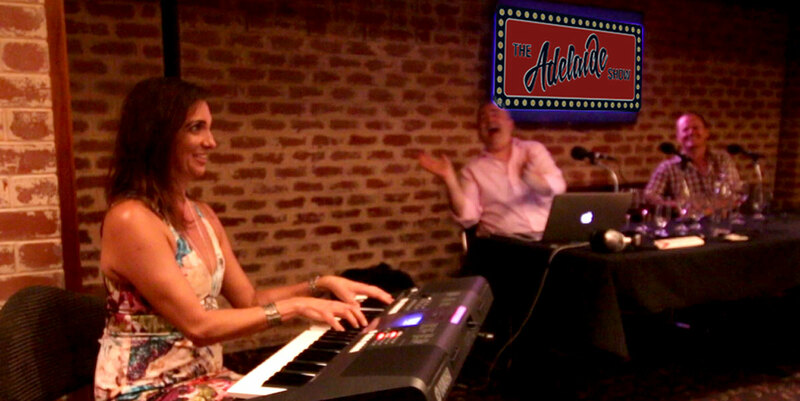 In 2012, Becky Blake launched her cabaret show, “Piano Chicks”, at the Adelaide Fringe, and has created a very popular ‘franchise’. 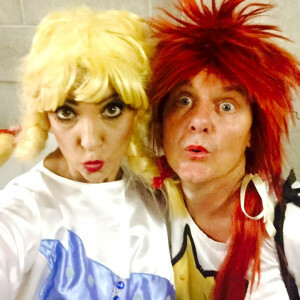 She’ll be back again in 2016 with Piano Chick Does Brit Chix but has found time to join The Adelaide Show to let us into the mind of a performer. 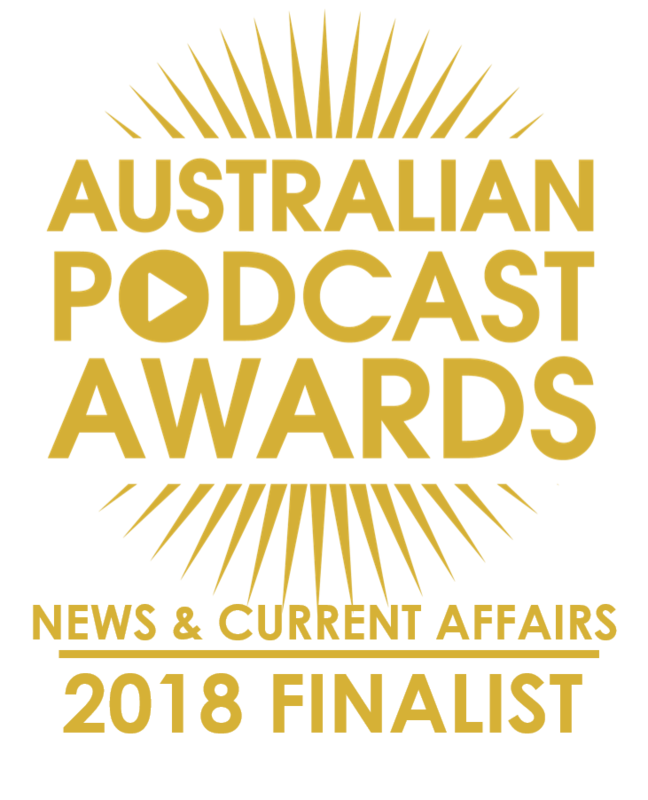 We’ll learn how someone who starts their musical training at 4, avoids becoming a precocious child prodigy, what studying music at Adelaide University is really like, and how she applies all that classical training to Chunky Custard, which she joined in 2001. We’ll also investigate how someone can give birth and then perform 3 days later! When you click through to buy tickets from the Adelaide Fringe website, make sure you choose Tuesday, February 23. There are only 25 in total.